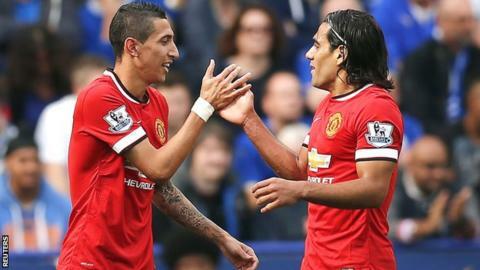 Former Manchester United manager Sir Alex Ferguson has admitted the squad needed "a big injection" of players. Ferguson retired in 2013 but successor David Moyes was sacked in April as United struggled to seventh last term, their lowest Premier League finish. "It was really important because you need quality at Manchester United, you need the best players," Ferguson said. The 72-year-old Scotsman, who won 38 trophies in his 26 years at United, told MUTV: "That's the way the game is going today with fees likes £85m for Gareth Bale. "When you can identify ability like that needed by Manchester United, they have the resources to do that. "Those are fees I never quite equalled but nonetheless they were needing quite a big injection this year." Also in the summer transfer window, United sold Manchester-born striker Danny Welbeck, who had progressed through the youth ranks, to Arsenal for £16m, leading to criticism the club were neglecting their youth policy. But new boss Louis van Gaal has introduced several homegrown players into the senior squad in his first season at the helm, including defenders Paddy McNair and Tyler Blackett. "What has pleased me about Louis is he's given seven young kids their debuts this year, which falls into line with the history of our club," Ferguson said. Van Gaal, who signed a three-year contract with United in May, has won titles with Ajax, Barcelona, Bayern Munich and AZ Alkmaar but has seen his new team lose to Swansea and Leicester, and suffer a 4-0 thrashing by League One MK Dons in the League Cup. Asked about the new manager's start, Ferguson added: "Maybe he's doing the right thing to clear the decks and build his own team, because he's got the experience and coaching ability to do that. I think the way he's approached [it] is brilliant. "He's not been getting the results that are expected but when I came to the club I didn't get the results I expected myself at the beginning. "Louis is going through that same process and there's no doubt in my mind he will sort it out."